So, our Zero-Waste Challenge lasts for 30 days and that meant that at some point, we were going to be graced by Mother Nature’s feminine gift: the period. Sanitary products are disposable and have a devastating environmental impact: just one woman is estimated to use more than 11,000 disposable sanitary products in a lifetime and each year, over 45 billion feminine hygiene products are disposed of globally. These statistics are crazy, periods affect half of the population every single month but there’s still such a stigma around them that they don’t always get the attention they deserve, particularly when it comes to their environmental impact. In an International Coastal Cleanup in 2013, Ocean Conservancy volunteers picked up 27,938 used tampons and applicators from our worlds beaches in a single day. Clearly, this isn’t just a problem that affects people who have periods, but anyone who has an interest in protecting the planet. Enter the Mooncup. 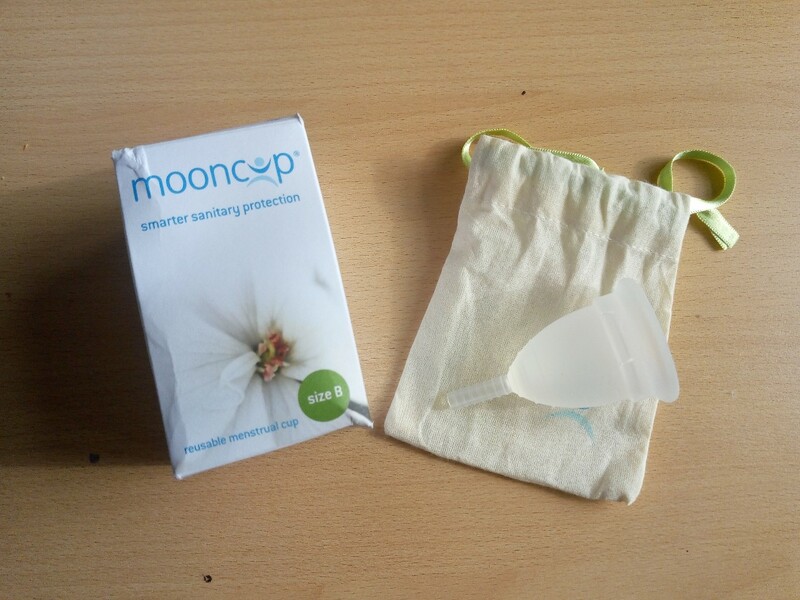 The Mooncup is just one of the solutions to this feminine waste problem. It’s reusable so you only need ONE, and they can last for years and years. That’s another thing about periods, they’re expensive. Well, we were willing to give it a go. The Ginger and/or the Vegan were ready to embark on this sustainable venture whenever Mother Nature came knocking. She decided to grace Morgana with her presence first. Well, it’s different. And it takes a little adjustment. At first, it was a bit uncomfortable but it’s easy to see the benefits of having one reusable product — there’s no need to keep the bathroom stocked with supplies! And it works regardless of how heavy your flow is so no thinking, or panicking is required. It does require a change of habits though, changing your Mooncup in a public place means you always need to have baby wipes or a bottle of water with you to keep it clean. What we realised from this challenge is that we had honestly never thought about the environmental damage dealing with our periods each month was causing. To buy one product to tackle them for a decade now seems like the only logical move rather than a quirky activity. Morgana is definitely still in the adjustment period (hardy har har) but loads of our friends swear by the Mooncup and we’ll be giving another go next month for sure. Read what Jas and Morgana were up to in the past 20 days.